The 3rd item of the 12 factors application manifesto tells us to store the configuration in the environnement. We can wonder if this approach is still recommended today, and exempt of risk. In this article we will consider a simple application and see how it needs to be modified to handle such sensitive pieces of information in a safer way. In the last few years, we saw a lot of changes in a way applications are developed and deployed. Mainly because of the huge adoption of the Docker platform, applications are now mainly following the micro-services architecture: they are made of several services (sometimes tons of them) which communicate together. We also specify a volume used to persist the data from the database, and 2 networks to isolate the different parts of the application (front vs back). We will give a closer look to the api service and we will suppose this one needs some credentials to AWS S3. For instance, it can need those in order to save and retrieve images for a users profile. The api service is written in Node.js. The code which connects to the Amazon API, using aws-sdk npm module, is something like the following. The config module required in the code above defines AWS credentials among some other configuration stuff. As we see here, each element gets its value from an environment variable. Then, when running the application through Docker Compose, we specifiy those environment variables through the environment key. This is one way of doing things. But, having those sensitive information in plain text is dangerous. There is also a risk to have them committed to the source control system. There are several ways to handle those pieces of information in a secure way. Using Docker secrets is one of them. Note: in the current version, secrets can be created in the context of a Swarm which allows an encryption at rest within the Raft logs. You can find some more information about this mechanism in this previous article. Instead of defining the credentials information in plain text in the environment variables, we create secrets out of them. Once created, secrets can be listed. But their content can not be retrieved. For instance, if we inspect the secret linked to the key AWS_ACCESS_KEY_ID, we only get metadata but not its actual content. Once the secrets are created, we can reference them in the Docker Compose file using the top level secrets key. Still in the Docker Compose file, we also need to modify the description of the api service so it uses those secrets. If you follow carefully (I would be upset if you dont :) ), you have probably noticed the version of the image has changed to 2.0 in the snippet above. This is due to a change in the api code in order to use the secrets we have created. When a service needs to have access to a secret, this one is available by default in a temporary filesystem mounted in each container of that service. As our application only checks environment variables at this stage, it needs to be updated to take secrets into account. It can be done with a simple module which only purpose is to read a secret from the /run/secrets. This is illustrated in the following code. Note: the call to trim() is really important as it removes the trailing “\n”. 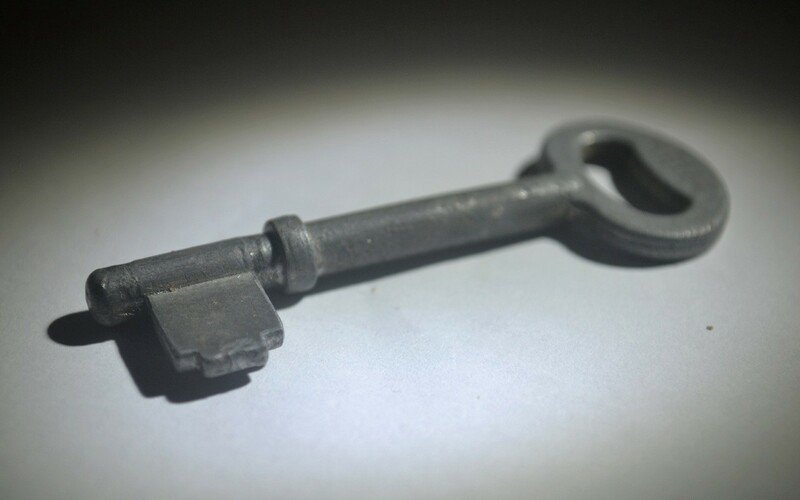 For each key, we first check if it exists as a secret. If it does not, we use the environment variable instead. Running the application on Kubernetes ? We saw above that using a secret instead of an environment variable requires the application to be modified a little bit so it can check if the secret exists within the /run/secrets folder. Does that mean we also need to modify the application once again so it can be deployed on Kubernetes and use its approach of secrets management ? Well, not necessarily. Note: we will not go into all the details of secrets management in Kubernetes but we will show how those secrets can be mounted in the same location as Docker secrets do (that is to say /run/secrets folder). In order to create secrets in Kubernetes, we first need to encode each piece of information in base64. We would then use kubectl to create the secrets from this file. Note: Kompose is a great tool to create descriptors files for Kubernetes’ deployments and services out of a Docker Compose file. The following file is the deployment created for the api service. In this file we’ve also added a part which tells Kubernetes to mount the secrets named aws-s3 into /run/secrets folder. Doing so, no additional change is needed at the application level to use Kubernetes secrets. Note: in a case a service only needs to have access to a subset of the secrets defined (for instance a service which only needs to know the name of the S3 bucket through AWS_BUCKET_NAME), it will see all the other secrets as well. This should be consider when creating the secrets. This article is an overview of the way we can use Docker secrets instead of environment variables to handle sensitive information. In most cases, this only require small changes to be done in the application. Usage of secrets is an important thing that should be considered when deploying an application as it ensures a much higher level of security.